So here are the manis that inspired me. Below is the story behind each look. Click the links to visit their original blog post with details. This beauty was done by Debbie from The Crumpet during tape mani week. Debbie is the Digit-al Dozen's creative founder and fearless leader. She's a gift to the nail community and I love her dearly. I chose this mani because a) it's amazing, and b) Debbie was infectiously enthusiastic about it! I smiled the entire time I read her post! This leopard print is the brainchild of Missy at Gnarly Gnails. 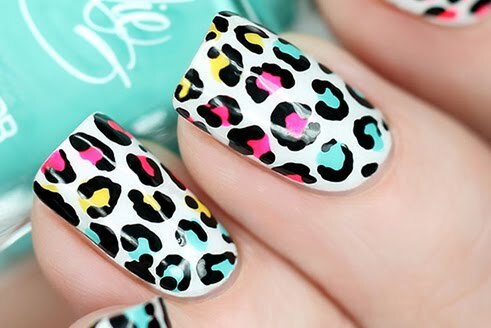 A simple leopard print is one of my favorite manis and her version is flawless. What Missy doesn't know is that I had a similar color scheme and design set out to do that week. I took one look at hers and knew I couldn't do any better! I chuckled when I saw it. How is it possible that we could have such a complex Vulcan mind meld on colors, gradient and print. It doesn't matter...I love the mani and Missy too! 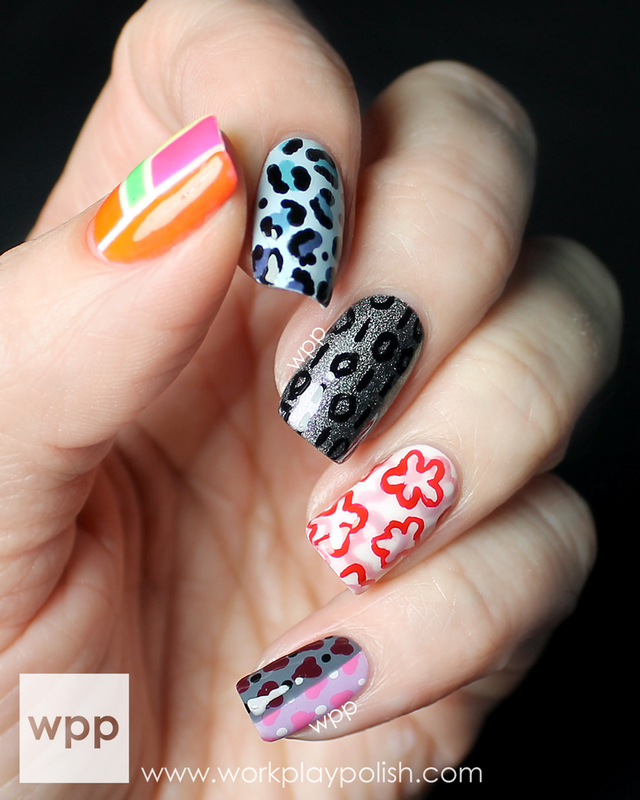 And last, but certainly not least, is a binary design inspired by both Heather at Peace, Love & Polish and Whitney at Dressed Up Nails. This one stuck out to me because I was like "Wow! Why didn't I think of that?!" Insanely creative. Whitney even went to the trouble to spell out NAILS in code! Both of these gals are so incredibly sweet and talented. They rock! 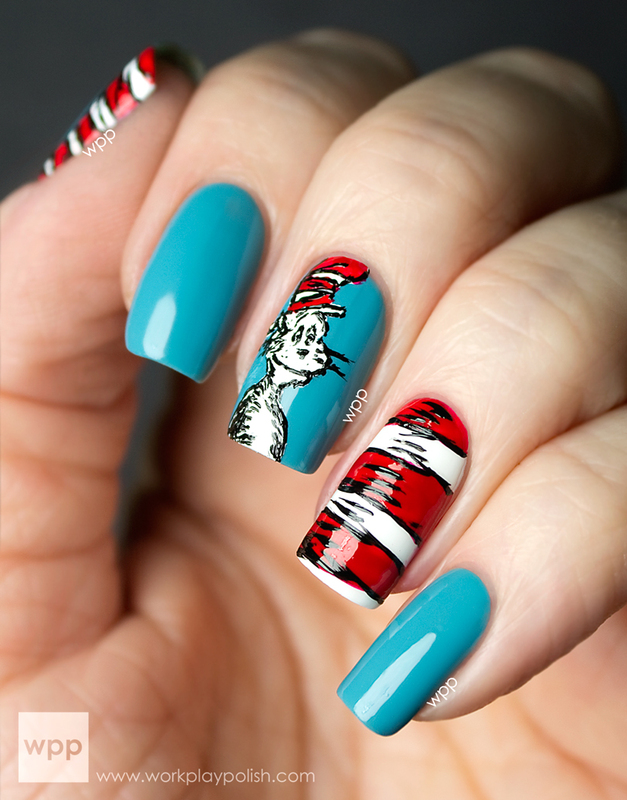 Visit the Digit-al Dozen Blog THEME ARCHIVE to see every single Digit-al Dozen mani...ever! And besides the gals I mentioned already, thank you to the rest who have been a part of this group for the long haul: Ashley (Smashley Sparkles), Bee (Bee Polished), Jackie (Adventures in Acetone), Jessica (BeautyGnome), Katee (A Girl and Her Polish), Kerrie (PishPosh & Polish), Kirsten (Geeky Owl), Laurie (Dressed Up Digits), Nayad (Toxic Vanity), Stephanie (Sincerely Stephanie), Sue (Creative Nail Designs by Sue), Tammy (Canadian Nail Fanatic), and Vic (glowstars.net). And also to the newbies (at least we did one challenge together! ): Emily (The Lacquerologist), Jolene (Follow Gashin), Nory (Fierce Makeup & Nails) and Shelly (Sassy Shelly). Well, that's it. I hate to hit PUBLISH. I'll miss being a part of such a wonderful group (have I gushed enough?). Thanks, ladies, from the bottom of my heart.